Spring is in the air! As the temperature starts to rise we have to start thinking ahead and getting our barns ready for warmer weather. Part of that preparation process includes cleaning up the cool cell pad system and making sure all of the necessary components are working. 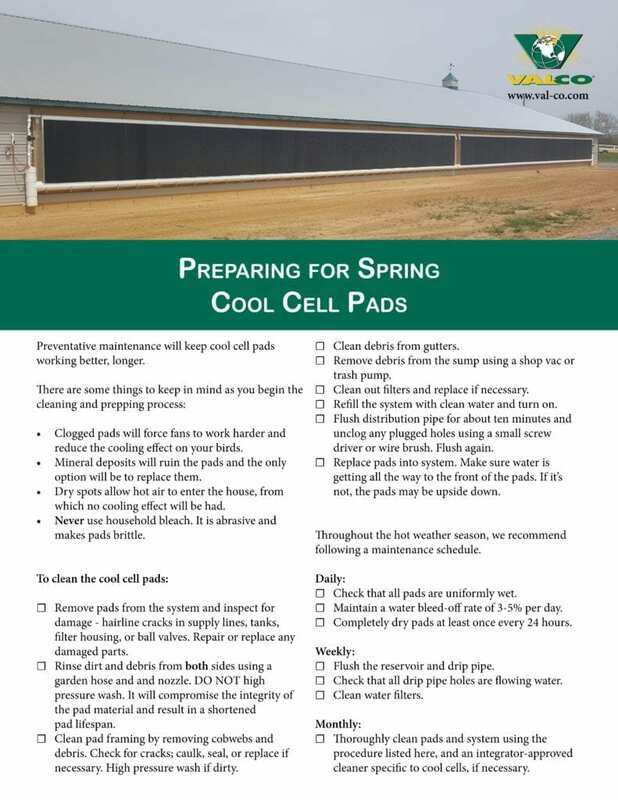 We’ve developed this comprehensive checklist on how to prepare for your cool cell pads for spring, and how to maintain them to keep them working flawlessly all summer long.